Baxter and Molly were found behind a fast food restaurant in October. They have been with our TN fosters since then and are ready to come north to meet their forever family. Available 11/15/14. This is Becca. She is 15 weeks old. She is very sweet playful girl. She is all puppy, playful, loves people and all animals. Her mother was a purebred Black Lab. Dad unknown. Becca and her 3 siblings were found in a side ditch lying next to the body of their Mother (Black Lab) who had been killed by a car. They were thin, scared and hungry. The dog warden that picked them up had plans to euthanize them unless someone stepped forward to take them. Lucky for them a kind soul came for them and released them to a Save A Dog rescue volunteer. They were nursed back to health and have been living a happy healthy life on her farm where they are now ready to be adopted into their new forever homes. Please be someone who has the time for a growing, playful puppy. 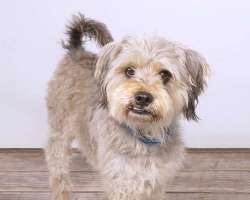 Benji is a 4 yr old terrier weighing approximately 20 lbs. This cute little guy was rescued from a TN high kill shelter. He is just a delight he is very friendly and outgoing; we think he may have been someone's pet at some point. He loves riding in cars. He jumps right in and he likes to walk on leash. He is crate trained he will walk right in. He is not a big fan of cats so a no cat home will be best for Benji. 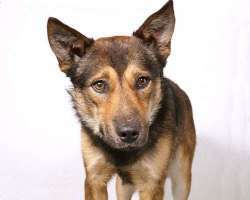 He gets along with female dogs better than males, but has taken to his foster's male Shepherd. He is house trained. He is so very excited to be someone's special boy. He is hoping to steal your heart. . We prefer an adult home for him as he has no known history with children. 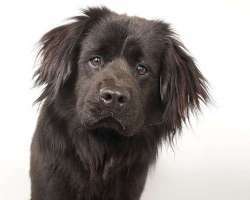 Benson looks like a miniature Newfoundland. He is 30 lbs. 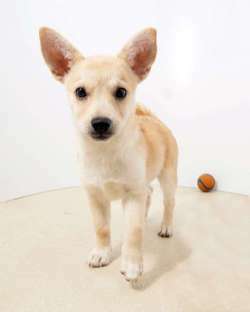 Benson was found in a high kill shelter in Tennessee along with his brother Emerson who is blonde. They are both very sweet and gentle, love attention from people. They get along well with other dogs. Both are waiting for their own homes and families! Available 11/15/14. 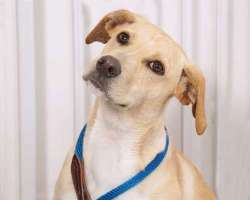 Biscuit is a sweet gentle and beautiful, 35 lb. small (his picture makes him look bigger than he is) Yellow Lab mix. This gem of a dog was found in a high kill shelter in Tennessee. Biscuit gets along with every other of the 22 dogs in the yard. He has the great disposition of a typical lab. He loves to play, loves attention, is well mannered, walks well on a leash. He is beautiful and sweet. Biscuit would make a wonderful family dog and a good dog park dog. Biscuit would be good in almost any situation. He is not cat tested though. What he really wants is his own family to love. Available 11/15/14. 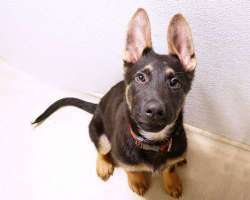 Briar is a 13 week old GSD puppy who was given up due to the child's allergies. He is a really smart, really sweet and cuddly puppy. He's quiet and well-behaved. He loves his toys and loves to chew his antler. Please be Shepherd experienced and be a stay at home. If children are in the family we require a physically fenced in yard. China is a very young, grey, female cockatiel looking for an awesome home. She is super social and loves her people. She will sit on your shoulder for hours while you work around the house. She does have her full wings, but usually only chooses to fly to her favorite people. She loves to eat all kinds of fresh and cooked foods in addition to her dry diet of mostly pellets. She loves to bathe and flaps her wings and hangs upside down when you spray her with water. She loves to chew up wood and play with toys. She's very busy and very sweet. If you are looking for an easy going bird to be your best friend, you've found her! China would love a home with a single person, or a small family with older children. Please no cats or dogs in the home with prey drive, we want China to be safe and comfortable. 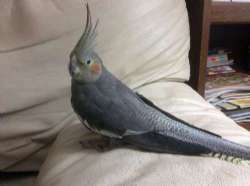 She can go as an only bird or to a home with other birds. Prior bird experience is a plus. Where she was found as as stray, keeping her safe and preventing her from escaping is of utmost importance. Most bird experts recommend 12-16 toys should be available for a bird to play with at any one time, and recommend adding or moving them around their cage at least weekly to keep their environment interesting. Email adoptions@saveadog.org for an application. We don't know how old she is, but she's young. This is Corrie Anne. She is 15 wks old and is all puppy. She loves all other animals, water, people, and lots of toys. She is the sister to Jette, Becca, and Jenna. All had a sad beginning in life but are living a happy life now and anxiously waiting for their forever family to find them. She is curious, playful, cuddly, and she will be a wonderful family addition -- what better way to begin a new year than to welcome a puppy into the family. She is the sweetest little dog that started life on the rough side & is now ready for all good things her forever family will provide for her. 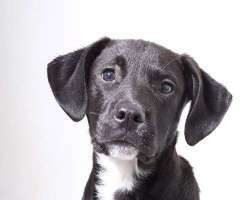 She is a Black Lab X; her mom was Black Lab. Corrie Anne and her 3 siblings were found in a side ditch lying next to the body of their Mother (Black Lab) who had been killed by a car. They were thin, scared and hungry. The dog warden that picked them up had plans to euthanize them unless someone stepped forward to take them. Lucky for them a kind soul came for them and released them to a Save A Dog rescue volunteer. They were nursed back to health and have been living a happy healthy life on her farm where they are now ready to be adopted into their new forever homes. Please be someone who has the time for a growing, playful puppy. Cowgirl came in with a litter of five pups, 4 females and 1 male. She and Cowboy are the smallest of the litter. They are just over 8 weeks old. They are playful happy little puppies. 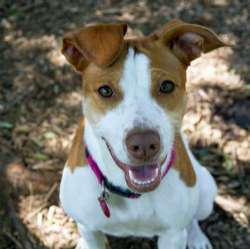 Cowgirl is playful, happy, and lovable, but she likes to be on the move with toys and exploring her surroundings. She and Cowboy are much smaller than their siblings. So cute they are like little toys so need an extra gentle provider. We prefer they go to a small-breed experienced adult home. Please be a stay-at-home or work-from-home. We follow a holistic protocol so we space the vaccines a month apart according to Dr. Jean Dodds' protocol. They are too young to be spayed or neutered. Please allow maturity and you will have fewer health problems later on. Dawn is a pretty little girl, and is small--less than 25 lb. Her foster mom says of her: She was scared for about 24 hours and then she turns into a goofy, funny dog who just wants to play, play, play. She would try to play with anything that moves...dogs, cats, people, anything. She must play bow about 100 times a day. She has lots of energy and races around my backyard. She has no fear in the backyard, so I think she really needs one. And she just loves other dogs, so another dog would be good. She is good with cats...mostly just tries to get them to play with her. She is housebroken; sleeps through the night without a peep. She is very good at keeping herself occupied. She has dragged every toy in the house into her crate and plays with them constantly. Very affectionate once she gets over her initial fear. Not afraid of people coming into the house, but is frightened by loud noises or sudden movements, so I don't think little kids or the city would be a good idea. Overall, she has been a very easy foster. If someone would just give her a chance to get over the first 24 hours, I think she would make someone a great pet. Don't miss out on this awesome dog. She is spayed. Dawn requires a fenced in yard to keep her safe. Look at this gorgeous boy! So unfair to be discarded when he has so much to offer. He's small for a Shepherd, but seems full grown. Dexter is a 37 lb. neutered. He was discovered by a Save A Dog volunteer at a high kill shelter locked in a pen with 4 other dogs. Dexter is one of the best dogs we have come across in a while. He is smart, gentle, sweet and loves attention. He walks on a leash and loves to play. He has not been cat tested though. He is learning crate training. We also have no history of him with kids. Dexter is excited for his own home where he can get lots of love. is Ehrlichia positive and we are treating it with homeopathy. This tick disease is very treatable and we will discuss all options with the adopting family. Available to the right home 11/15/14. Emerson 30 lbs. 8-9 mo. with a beautiful blonde coat! 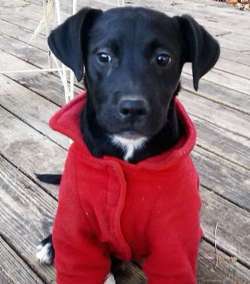 Emerson was found in a high kill shelter in Tennessee along with his brother Benson who is black. They are both very sweet and gentle, love attention from people. They get along well with other dogs, walks on a leash and loves every one he meets. Both are waiting for their own homes and families! Available 11/15/14. Goldie and Mya are Kelly's puppies. They are tiny 8 lbs puppies and love to snuggle. They are young so need a stay at home situation in order to learn their puppy manners and lessons. They will be great family dogs, they are fine with other dogs and trainable to cats. They will be at our shelter on Sat/Sun from 12-3 PM during our drop in hours. 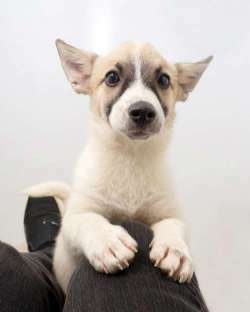 Heather is a tiny mite who will melt your heart. She is a bit shy when she meets you but opens up quickly. She loves to play with other dogs and loves people too. She was a stray in St Thomas who made her way to MA to find her home too! She will be spayed this week and available to meet you this coming weekend. HEATHER WAS JUST SPAYED SO WILL NOT BE AT OUR WEEKEND MEET & GREETS. 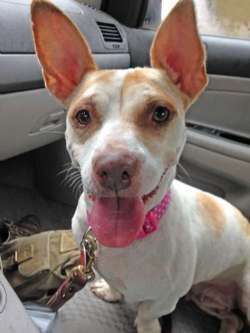 JADA WILL BE AT OUR MEET & GREET SATURDAY 12-2 at Natick Petco! Jada is a cute and compact dog, like an oversized JRT. She still fits in my lap, and jumps in it at every opportunity. She has a lot to offer with kisses and snuggles. She has a High Energy level, and needs someone who likes to hike, take long walks and/or swim. One ear is up and the other is down, but both perk up when she sees those pesky squirrels!! We think an adult home would be best as she plays too rough with kids. At home she likes to be the “queen” and the “center of attention”, although she's currently living with two other big male dogs. In that group, she's the ‘baby’, so is kept in line by her big brothers – and never skips an opportunity to challenge them. She would chase a cat, so no cats or small animals is best. Jada says: I LOVE the water. I would be happy with a doggy pool. Her story: A beautiful gem from St. Thomas, Jada was scheduled to be euthanized, but several shelters and rescue groups worked together to get her here. She's so friendly and engaging! She's so happy to be with people that she has the biggest smile when you talk to her. She's also very dog friendly, but plays rough when she first meets a new dog/human. Eventually she would do well in doggy play groups. She will play in a kiddie pool for hours doing dog paddle and rolling around to cool off. It would be great if her new home vacationed near water or had a pool! 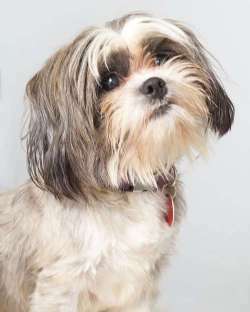 Jada is in a foster home and can be seen by private appointment. This is Jenna. She is 15 wks old and is all puppy. She loves all other animals, water, people, and lots of toys. She is the sister to Jette, Corrie Anne & Becca. All had a sad beginning in life but are living a happy life now and anxiously waiting for their forever family to find them. 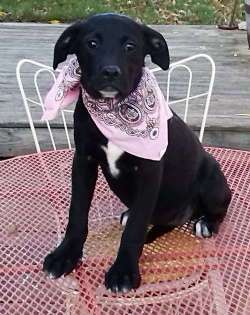 She is a Black Lab X; her mom was Black Lab. Jenna and her 3 siblings were found in a side ditch lying next to the body of their Mother (Black Lab) who had been killed by a car. They were thin, scared and hungry. The dog warden that picked them up had plans to euthanize them unless someone stepped forward to take them. Lucky for them a kind soul came for them and released them to a Save A Dog rescue volunteer. They were nursed back to health and have been living a happy healthy life on her farm where they are now ready to be adopted into their new forever homes. 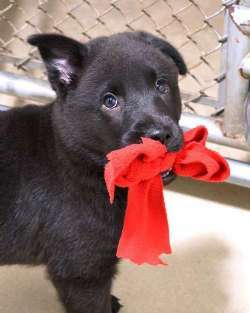 Please be someone who has the time for a growing, playful puppy. This is Jette. He is 15 weeks old the only male in a litter of 4. Jette is a smart quiet loving little pup. He loves to play outdoors, enjoys his toys, dog friends and cuddling with people. Please make his life a happy warm place to be. He has a very good disposition and responds to commands already. He will be a larger dog being his Mom was a Black lab, he already shows interest in birds and water. 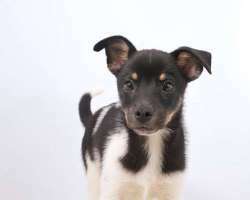 Jette and his 3 sisters( Corrie Anne, Jenna, Becca) were found in a side ditch lying next to the body of their Mother(Black Lab) who had been killed by a car. They were thin, scared and hungry. The dog warden that picked them up had plans to euthanize them unless someone stepped forward to take them. Lucky for them a kind soul came for them and released them to a Save A Dog rescue volunteer. They were nursed back to health and have been living a happy healthy life on her farm where they are now ready to be adopted into their new forever homes. . This is Justin. He is approximately 5 years old, neutered and up to date on vaccinations. He was rescued as a stray when he was an older puppy/young adult and has been a house pet ever since. His owner has Alzheimer's and has had to move into assisted living. Justin is very friendly with all people, other dogs and with cats. He loves to go for walks on a leash. 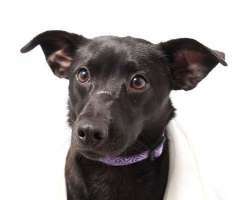 Justin is a very happy and playful guy who also likes to snuggle on the couch. He is available now. He would be a great dog for a retiree or family.He loves to have his person around so a part time worker or opposite shifts would also work. He just had his teeth cleaned so we do not expect he will need any further vetting other than a wellness check-up at your vet. 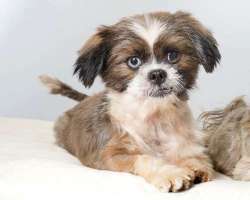 He and Hiro were with the same owner since they were young and they were regularly cared for by the same vet receiving check-ups every six months. We have all the paperwork including blood panels and proof they were on heart worm preventive. From his foster: "We love Justin! He's doing really well in our house. He is getting along well with our two little dogs. He loves running around and playing with them in our yard. We had many people over for Thanksgiving and he was super welcoming to everyone. He looooves to cuddle and sleeps through the night, although he is a snorer. He is happy right on your lap or on a dog bed. He has been extremely easy to take care of. We do think he would like an owner who is able to be with him more often than not. " 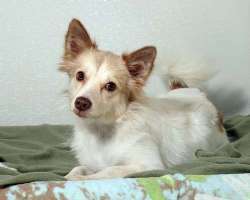 Kelly is a 2 year old Sheltie/Pom/Eskie. She's a little spark plug and runs around playing and keeping herself busy. SHE LOVES KIDS! A lap dog she is not, but she's little and manageable. She is spayed and up to date. Kelly is energetic and can run around the yard with the best of them. She darts around the house looking for toys to play with and has a lot of go in her when she is taken for walks. She is housetrained and would be fine with another dog. She does chase cats, so a home without cats would be best. 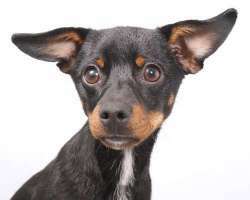 Kippy, 4 Months Male Min Pin Mix. Kippy was found at a shelter in TN. He was scared, crying and getting picked on by a couple of other larger dogs. He has turned out to be an absolute sweetheart. Kippy is definitely a companion dog and creates strong bonds with people. He is very affectionate and has lots of kisses to give. He is great on the leash and much behaved in the car. 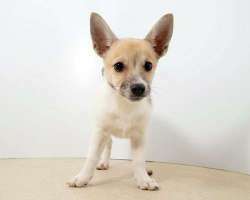 He is full of energy and loves to go for walks where he can prance and strut his stuff. Inside the home he enjoys playing and entertaining himself with toys but also wants to be able to snuggle with his person. He also likes to find sunny spots and blankets to keep himself warm so he will need sweaters in the winter. Kippy is housebroken but because he is so young he needs to be taken out frequently. At night he sleeps in an open pen with a puppy pad. He gets along great with all sizes of dogs and the four cats in the foster home. He hasn’t been child tested but because of his sweet nature he would probably do well with 10 years and up. But he does move very fast so safety is an issue for him. Kippy is waiting eagerly for his special person to enjoy lots of snuggle time and grand adventures. Available 11/12/14. 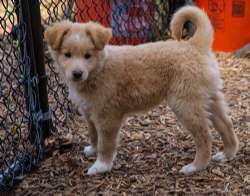 Lucy is 12-14 weeks old and about 20 lbs she appears to be full blooded Siberian husky. Lucy somehow landed at a TN shelter. She is just beautiful with eyes that just draw you in. She is still a puppy so will need experienced large breed adopters that understand the importance of training this intelligent youngster. She is currently in foster and has been doing well on house training but needs to go outside often. She is doing well with crate training as well as walking on leash. She pesters the foster cat and this breed is typically not cat friendly but she is young so in the right home may do okay. She is completely lovable and loves to be picked up and hugged. 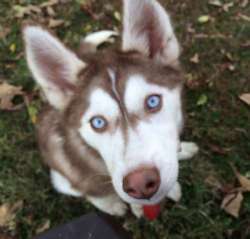 We are looking for Husky experienced home. Available 11/15/14. LUNA WILL BE AT OUR MEET & GREET ON SUNDAY. Hi there, My name is Luna and I'm looking for my forever home. 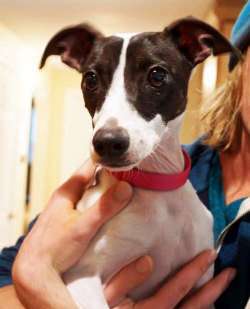 I'm an Italian Greyhound and am almost 2 years old. I'm good with kids, cats, and dogs. I'm house broken. I like bath time and I love to sleep under the covers. I love wearing clothes. I have good energy, not crazy, but you do need to exercise me. I'm not for a couch potato, not yet. I weigh around 15 lbs. They say I'm full grown. I'm up to date on vaccines, am microchipped, and spayed. I know the "Sit" command and I share my toys and food with everyone. I'm the best dog looking for the best home. I like my people with me and because I'm a small dog I need to be let out every 3 hours. Please apply. Malachi and Micha are Kelly's babies too. They just arrived from St thomas and will be available Saturday at our Meet & Greet. They are too cute for words! They are much smaller than their pictures appear. Come meet them! Marla is a 25 lb. 4 mo. old Collie mix. She is sweet and gentle and a bit shy. Her fosters called her 'Birdie" because she looked like a baby bird when she was a tiniy thing. She came into the shelter with her brother Marvin after being trapped. They had mange and were covered in fleas and ticks. We have worked for 2 months getting them both ready for adoption. She now is healthy with a beautiful blonde coat. She loves attention but will need a family that is willing to continue building her confidence and trust. She is learning the leash and doing well. Marla and Marvin have a lifetime of love to give to a special family! Available 11/15/14. Tawny, Meg and Sugar are siblings of Cowboy and Cowgirl. They are very playful,happy seeking attention little 8 wk old pups, they look like their Mom (picture attached). All are ready for their forever homes and just in time for sharing the holidays with their forever families. They will each go to their own homes and they will bring smiles to faces and warmth to the heart. Please be a stay-at-home. Children must be ten and up and extremely gentle as it's tempting to carry around little ones and they can be dropped and easily hurt. We follow a holistic protocol so we space the vaccines a month apart according to Dr. Jean Dodds' protocol. They are too young to be spayed or neutered. Please allow maturity and you will have fewer health problems later on. Malachi and Micha are Kelly's babies too. They just arrived from St thomas and will be available Saturday at our Meet & Greet. They are so cute and are much smaller than the pictures appear. Come meet them. Molly and Baxter were found behind a fast food restaurant in October. They have been with our TN fosters since then and are ready to come north to meet their forever family. Mya and Goldie are Kelly's puppies. They are tiny 8 lbs puppies and love to snuggle. They are young so need a stay at home situation in order to learn their puppy manners and lessons. 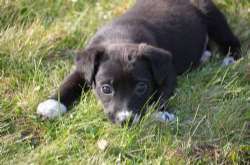 They will be great family dogs, they are fine with other dogs and trainable to cats. STILL REVIEWING APPLICATIONS FROM SATURDAY FOR NOVA. This is Nova. 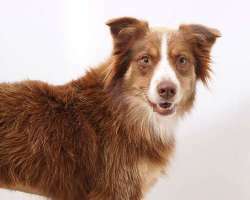 She is a one year old red merle Australian Shepherd girl. She is spayed and is she weighs 38 lbs. She is has beautiful blonde highlights. She was at a quick kill shelter waiting for her turn with the needle-- what a find in a very sad place in the south. 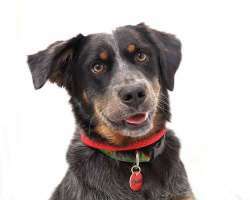 This dog is very people oriented and is currently anxious to find her human as Aussies do best when they can closely bond to their humans. She is stunning in coloring and her personality is great. She was in foster care with other dogs and is social but does not like dogs that play rough as she's a sensitive girl. She loves a good game of chase. She will be available at our weekend Meet & Greet at our shelter. Our drop-in hours are 12-3 PM. Please apply at www.savadog.org to speed the process. 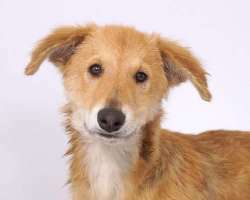 Prince is a very handsome, very friendly young Retriever / Collie mix who was rescued from a high volume shelter in NC. He is totally gorgeous and has the type of personality that is worth its weight in gold. He's a very sweet boy through and through. He deserves a loving adopter. He is quiet and eager to please. He will sit by you patiently waiting for a walk, a pat, a snuggle or a game of ball throwing. He loves attention. He can climb a fence but it would be more to get to you and not away from you! To know Prince is to love him. He will not disappoint his lucky adopter! Rosie is a cuddlebug and a clown. 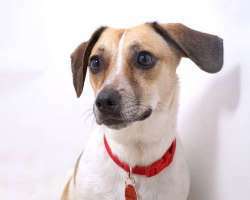 She's a 2 year old Jack Russell mix, she's spayed, and is looking for her forever home. She came to us after having at least one litter. She was a teenage mom and still has lots of delightful puppy energy. 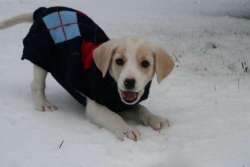 Rosie is currently being fostered in Wayland, MA; her foster mom says she can entertain herself for hours on end with her stuffies and chew toys. She is active and snuggly and playful, and all-in-all a perfect little dog. She rides well in the car, settles down nicely in her crate, plays well with other dogs, and showers every person she meets with kisses and tail wags. She is good to go for a two-hour hike through the woods, or to snuggle up with you for a movie marathon on the couch. Pretty much wherever you are, that's where she'll want to be. That said, she's not at all clingy or kvetchy. Rosie has a healthy prey drive, but has proved to be OK with cats. 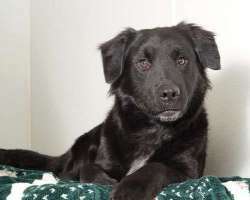 She's housetrained, has good basic manners, and is eager to join her forever family for the holidays. 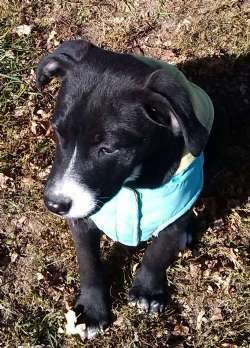 Please consider little Rosie for adoption! Sara Sue is one of 3 Beagle/Corgi mix pups who is about a year. These sweet dogs have waited so long to have a family of their own. They were a tad overweight but they have been more active, eating high quality food and really slimming down quickly. They are adorable with short little legs and big eyes. Sara Sue is completely housebroken and crate trained. She is quiet in the house and very cuddly. You can carry her like a baby. There were 4 in the litter but one was shot so in order to save the other 3 a kind neighbor took them in when they were very young but can't keep them any longer so we want to continue her good efforts to find each of them a great home. We are unsure yet if they have experience with kids or cats. 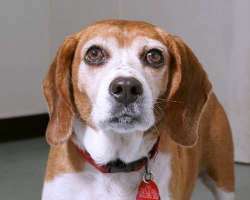 Her siblings are Buster Brown and Jodie Lee. 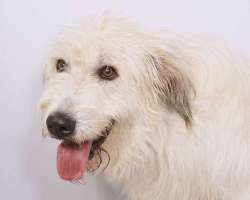 Shaggy is a 1-2 year old fluffy dog who appears to be Irish Wolfhound or something similar. Shaggy's name fits him perfectly. He is 70 lbs. of a big and loveable, happy, gentle, sweet shaggy dog! He will make you smile when you see him and you will fall in love with his gentle sweet disposition. He will not jump on you and he walks well on a leash. He is not cat tested. He is good with most of the dogs in the yard. Shaggy was just neutered, so we still watch him around other large male dogs. Shaggy was found at a high kill shelter in Tennessee where he had been picked up as a stray. 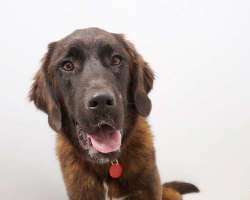 Shaggy deserves a large fenced in yard where he can stretch his long legs and play. He would make a great hiking or walking buddy too. Shaggy is Ehrlichia positive and we are treating it with homeopathy and will discuss all options for this very treatable issue with his adopters. Available 11/15/14. This little 10 week old puppy came from St Thomas to find her forever home. She is just a baby so needs a stay at home situation. She still needs to learn house training and crate trainiing but is well on her way. She would be fine with another dog or as an only pup. She ADORES her sibling, Chance. They are really good pups who play all day and then curl up together in their crate. Trooper is an amazing dog. He is around 1- 2 years old. He is completely housebroken and sleeps in a crate at night. He likes to go running and biking. He sticks with you on the hiking trail and is very friendly with other dogs. He was was sprung from a high volume shelter in NC where he was scheduled for euthanasia -- he was rescued in the nick of time and he has been so grateful and thankful. He can be like a big puppy at times so would be too much for small dogs or small children, but he knows how to calm down in the house. A fenced in yard would be best as he likes to give squirrels chase. Please apply if you are interested.